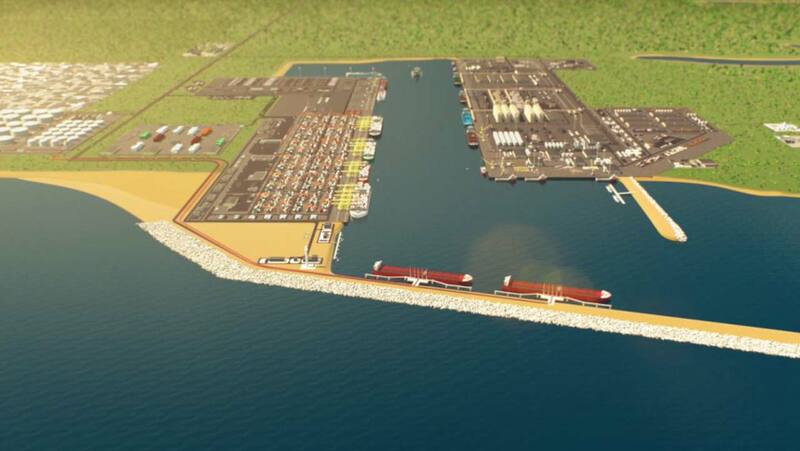 The Federal Government and the Akwa Ibom State Government have reached a critical milestone in the implementation of the Ibom Deep Seaport (IDSP) project. Indeed, the procurement process for the project has commenced as the operators of the project begins to shop for reputable private sector port developer for the development of the deep seaport in partnership with the Akwa Ibom State Government and the Federal Government. Ibom deep seaport is designed for very large vessels, vessels that can load over 13,000 containers in one voyage. It will be a transshipment port as smaller vessels will re-distribute cargo from the mega vessels to sea ports, river ports closer to the consignees in Nigeria and West & Central Africa region. The operators, in a statement to The Guardian, said the procurement process for the IDSP project would commence in January 2018 with Request for Qualification (RFQ) from reputable private sector operators. According to the statement, the project is a Public Private Partnership (PPP) infrastructure initiatives which provides unique investment opportunities for international seaport developers/operators/investors as well as its potential for driving inclusive economic growth in Nigeria. The 2,565 hectares greenfield port area is designed for New Panamax Class vessels with channel (18.24m); turning basin and berth depth (16.72m) and quay length of about 7.5 km. When fully developed, the container terminals, according to the handlers, would be able to accommodate up to 13 New Panamax Class container vessels and two very large feeder vessels. “The seaport offers an ultra-modern deep seaport with modern cargo handling equipment, facilities and systems that can address the capacity challenges constraining other seaports across the region. The greenfield site has substantial land available for future expansion. “Due to its proximity to target markets in West and Central Africa, neighbouring hinterland countries and major shipping lines calling West/Central Africa, large gateway market size to attract direct vessel services and sizeable transhipment cargo hinterland for feeder shipping network connection, as well as its capacity to handle post and New Panamax vessels at its specialized terminals, the IDSP is in an enviable position to emerge as the first major transhipment hub for the region. “The transhipment container market for the IDSP is estimated to grow from about 1.2 million TEUs in 2021 to about 4 million TEUs in 2040,” it stated. The IDSP will leverage on and benefit from the various support/related infrastructure projects being implemented by the Federal Government and the Akwa Ibom State Government for the movement of goods within and outside the country from the seaport. The Project site is strategically located and accessible through major existing and planned transport infrastructure such as airport, railway lines and Federal and State road network. The ongoing support infrastructure projects such as major road network construction, the proposed Lagos-Port Harcourt-Aba-Uyo-Calabar railway line, and the expansion of the Akwa Ibom International Airport will enhance access to market.